Raya week is finally here and it’s the time of the year where most people will be travelling back to their hometowns. 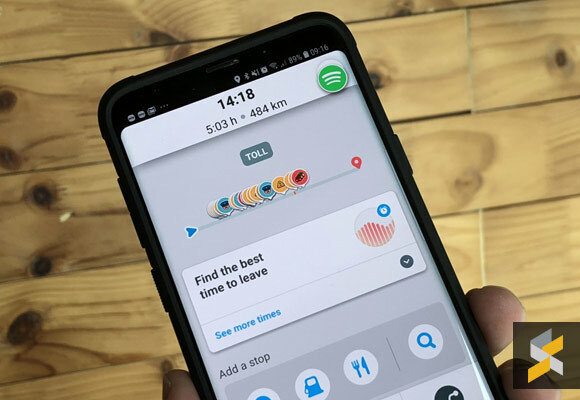 For a smoother drive, Waze has shared a couple of useful tips and most importantly the worst travel times that you should avoid for the next couple of days. 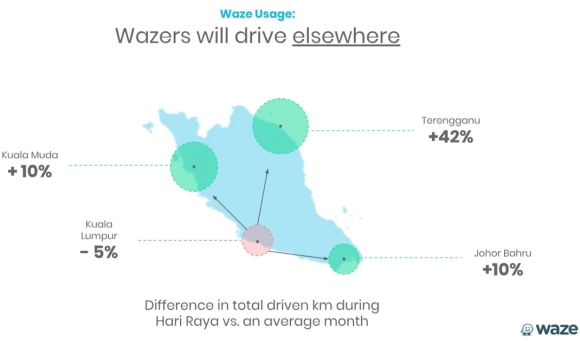 According to Waze, Malaysians are expected to be driving 25% more than usual during the Hari Raya week. Traffic is expected to increase two days before Raya and it will peak over the weekend. 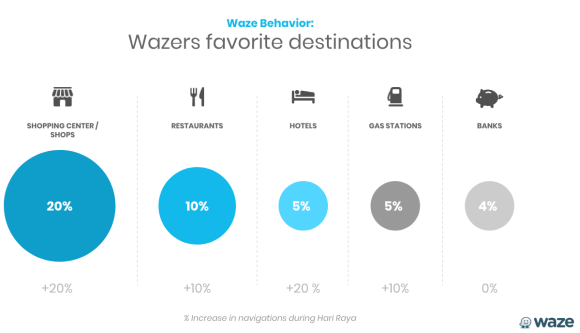 For those staying back in Kuala Lumpur, there will be an expected 5% drop in Waze usage as more people are leaving the nation’s capital. Meanwhile, those in Terengganu will see a staggering 42% increase in traffic, followed by Kuala Muda and Johor Bahru with an anticipated 10% increase. In terms of driving duration, Malaysians will be making longer journeys with an increase of 42% in Terengganu and 32% longer in Kuala Muda. Those in Johor Bahru will drive 30% longer while those in Kuala Lumpur will see a 20% increase. 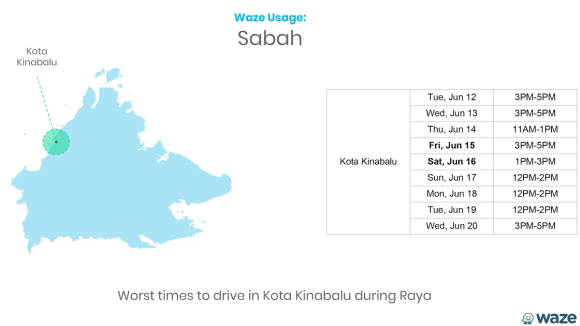 If you’re wondering when is the best time to start your road trip, Waze has analysed its historical data and they have identified the busiest areas and the worst times to travel between 12 to 20 June. Below are the top 10 areas and peak travel times so it is advisable that you plan your drive around them. Before you drive home, you can share your travel status by sending your Estimated Time of Arrival (ETA) link to your family and friends. Just tap on Send ETA and choose the contacts that you wish to share with. 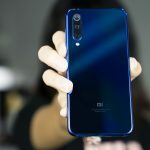 You can copy the link or send the URL via SMS or WhatsApp. 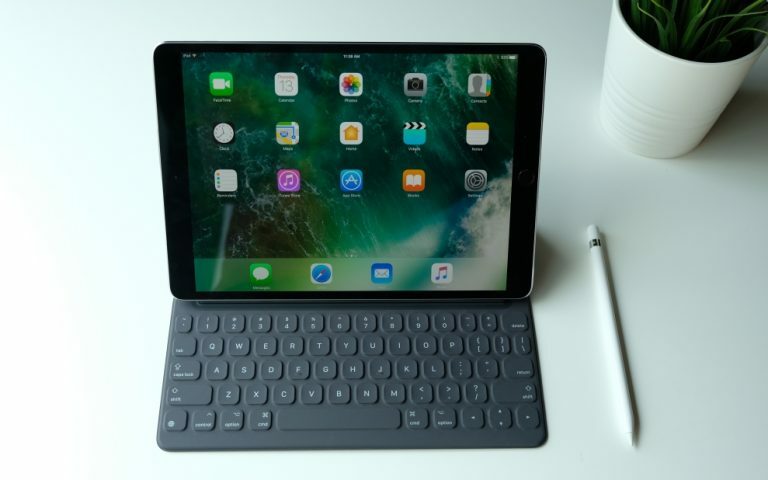 With this feature, your loved ones will know when you’re arriving while you keep your hands on the wheel at all times. 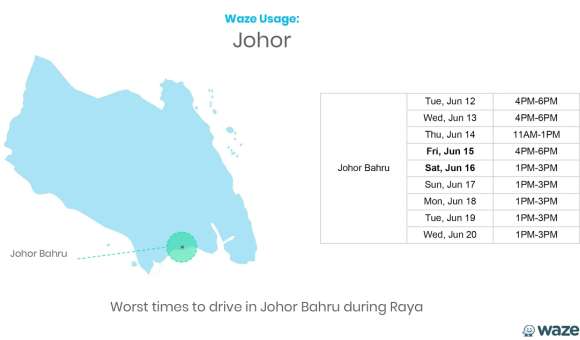 If you don’t want to be stuck in unnecessary jams, Waze has shared that most users will be heading to the mall during Hari Raya. Since it’s a holiday, there will be 20% increase in traffic at shopping centres, followed by 10% increase at the restaurants. This might also affect your chances of finding a parking lot so do plan ahead or find other alternative modes of transportation. 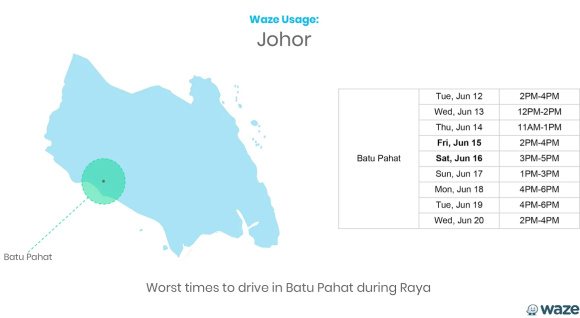 For those visiting or expecting friends during Raya open houses, you can share locations easier from the Waze app itself. Just tap on menu, tap on the 3 dots and you can share your destination or your current location to your contacts. 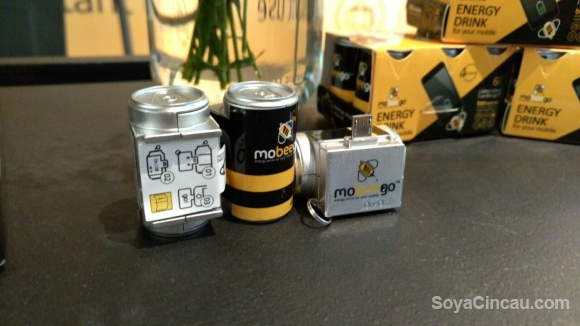 This not only saves time but it helps to guide your friends and relatives to the right house. Last but not least, do keep on eye on the speed limit. To avoid unnecessary speeding and expensive fines, you can use the speed limit reminder in Waze. To stay alert, you can enable alert sounds when you’ve hit or exceeded the permitted speed limit. As always, drive safe and have a blessed Hari Raya celebration.